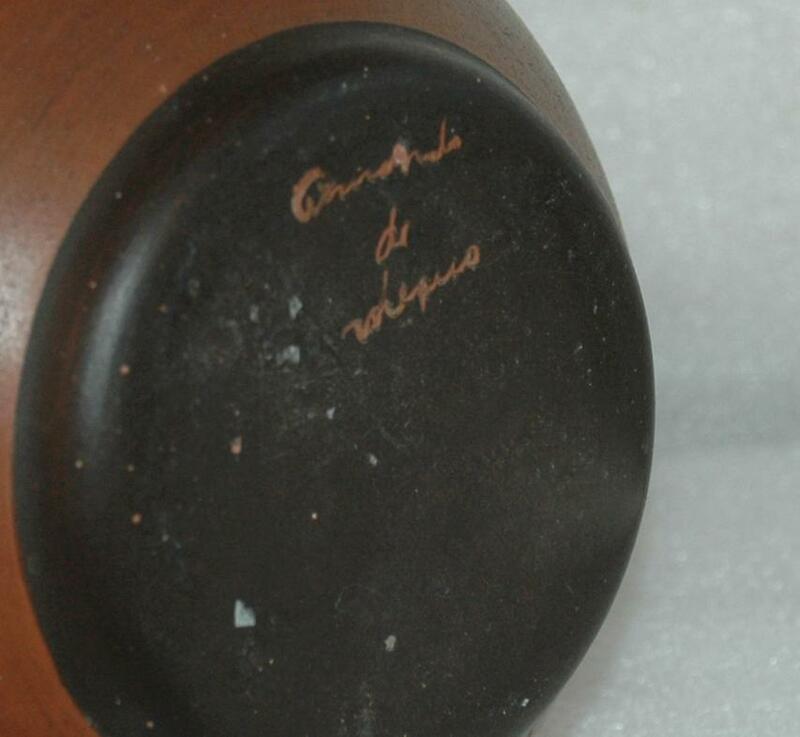 Armando de Mexico Pottery Pot Vase . It is 5" tall and it excellent condition. It is signed on the bottom . 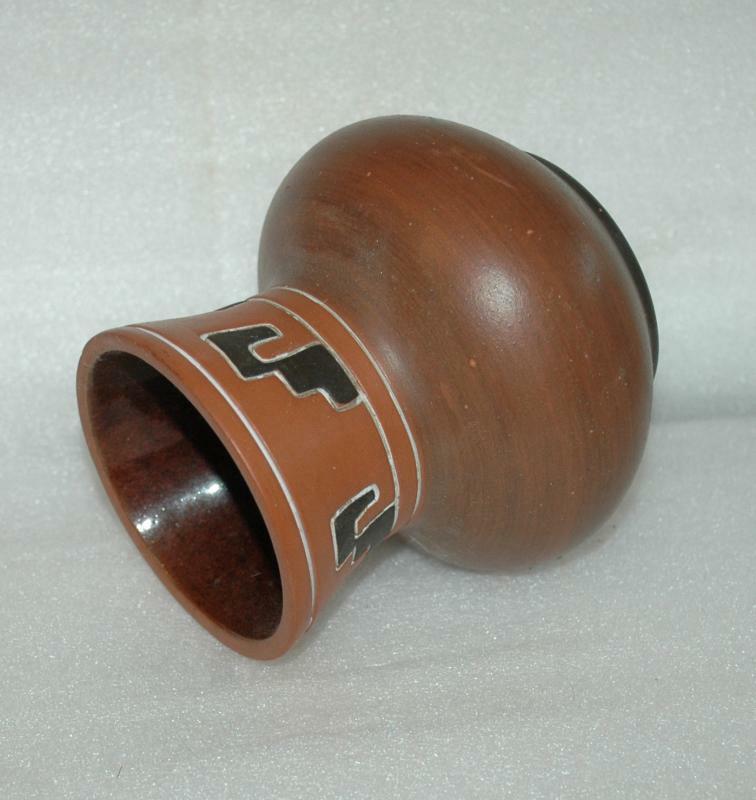 It has Geometric Sgraffito design. 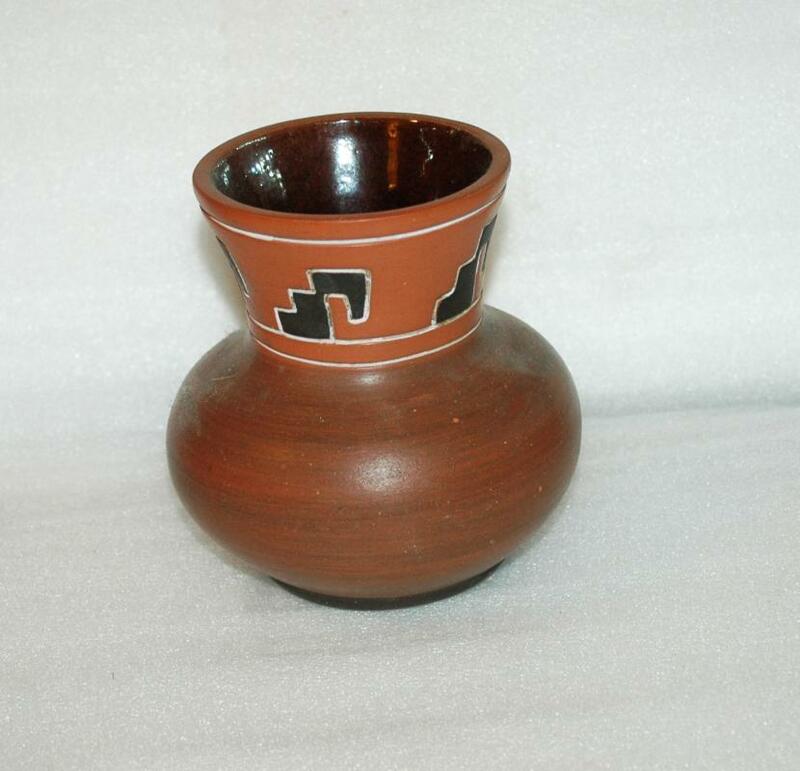 Items Similar To "Armando de Mexico Pottery Pot Vase Geometric Sgraffito "